Sun Cellular has recently introduced its new and improved Gadget Plans in order to give customers more control over their postpaid subscriptions. These options come with devices starting at a monthly rate of PHP 199 and are combined with a data plan for a tailor-fit all-in-one package. For example, subscribers can avail of an Acer Iconia One 7 tablet and a Pocket Wi-Fi bundle for PHP 249 monthly, then get a Plan 250 for 700MB of data allowance per month to end up with a Gadget Plan worth PHP 499. 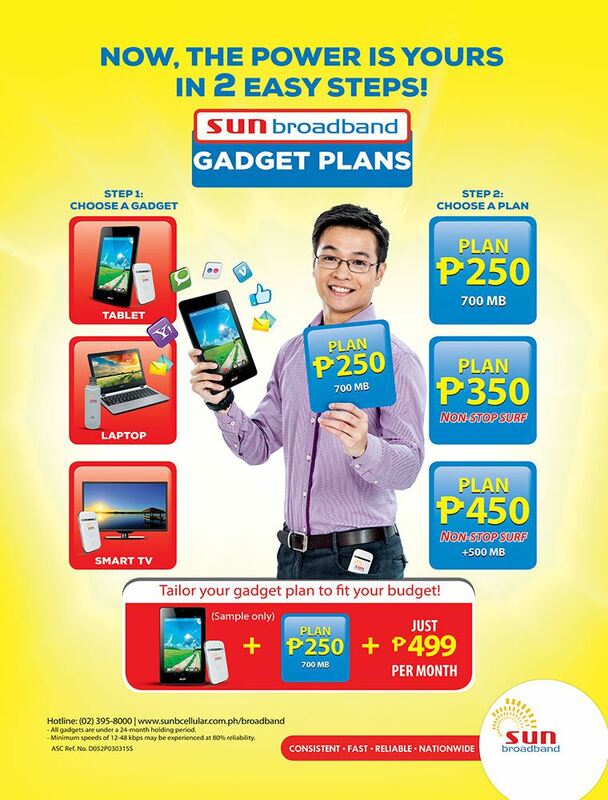 Some of the devices included in the Gadget Plans are the O+ USA Fab Lite 3G Tablet (PHP 199 monthly gadget fee), the Huawei Media Pad Youth 2 (PHP 249), Sony PS Vita (PHP 649), Cherry Mobile Alpha Morph (PHP 649), the HP 14 Notebook (PHP 699), and the MyView 32-inch Smart TV (PHP 649), among many others. These can be paired with: Plan 250 with 700MB of volume data allowance; Plan 350 with Non-Stop Surf; Plan 450 with Non-Stop Surf plus 500MB of open-access data allowance; and Plan 699 with Non-Stop Surf plus 1.5GB of open-access data allowance. Non-Stop Surf allows access to light and casual Internet activities all month, including web searches, blogs and news sites, social media, e-mails, chatting, navigation, and playing games. The open-access data allowance, meanwhile, can be used for video streaming, uploading, and downloading. “By giving subscribers the power to customize their Gadget Plans, they no longer have to be stuck with a postpaid plan that doesn’t fulfil their unique needs. And it only takes two steps for them to get it!” Curran added. 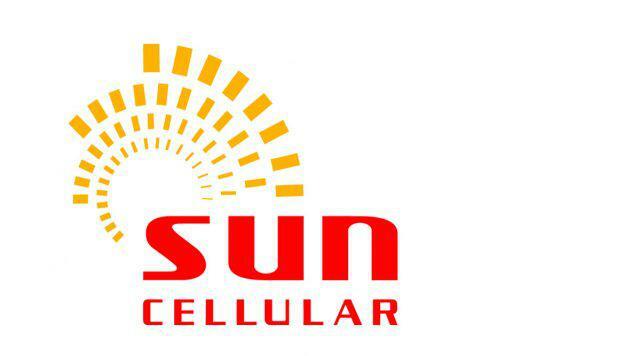 To introduce interested customers to the newest Gadget Plans, Sun will be holding a sale from March 26 to April 1 at the SM Mall of Asia where their representatives are available to help users choose the perfect plan for their needs and lifestyles.